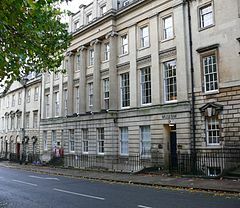 During the winter months, the Society holds a series of lectures at the Bath Royal Literary and Scientific Institution, 16 Queen Square, Bath, BA1 2HN. This year’s lecture schedule has been announced. The schedule may be subject to change. More information will be available soon here and in the next newsletter. Each lecture begins at 7.30pm with an admission charge of £4 for members (on display of a current BACAS membership card), and £5 for the general public. Dr Robert Bewley is the Director and Co-Founder of the EAMENA Project (Endangered Archaeology in the Middle East and North Africa) which is supported by the Arcadia Fund and based at the Universities of Oxford, Leicester and Durham. It was established in 2015 to respond to the increasing threats to archaeological sites in the Middle East. The project uses satellite imagery to rapidly record and make available information about archaeological sites and landscapes which are under threat. Professor Ronald Hutton is a well-known English historian specialising in the study of Early Modern Britain, British folklore, pre-Christian religion and contemporary Paganism. In this lecture he will show that Britain has one of the richest, most complex and most inspiring heritages of monuments and texts left by pre-Christian religions of any country in Europe. He will answer the questions of why that is, why that heritage matters; and what difficulties and opportunities it poses for us in the modern world. Martin Green, acclaimed for his farm and museum exhibits on Cranborne Chase, lives very close to the Knowlton complex where within an area of just over a square kilometre lie at least 7 henges, 170 ring ditches and a prehistoric mound. It is the least studied of the great Wessex henge complexes although the most compact. Work by Dr. Green and Southampton University in 2016 looked at a mini-complex east of the Church Henge. Excavations revealed a ‘short’ long barrow with ditches of unusual construction, including a unique chalk pedestal, new henges and enclosures and a high status Beaker burial. Martin will give the background to Knowlton before discussing last summer’s remarkable finds. home in Wiltshire. He also writes on archaeology for journals and magazines. Most recently he has been exploring the connection between the siting of prehistoric monuments and moving water in the Avebury area involving visiting and recording over fifty springs within a five mile radius of the Avebury Henge. Following the BACAS AGM, members will report on their own projects including the BACAS Geophysics trip to the Isle of Man.